Use the condition: "is dead"
You need an unit to use in the revival process. An Argus usually works, but if it doesn't try something else. after it dies, change it to a cinematic block and damage it 100%. Then teleport that cinematic block wherever you want and change it back whenever you want. Is it possible to detect the ID of a unit I invoke spy on? So player 1 invokes spy on a player 2 enemy unit (say it's ID 47), would need a trigger effect where on spy being invoked it sets a QV to the ID of the unit spied on. Yeeb making an ability to copy units? For a cinematic i have a question. i want to use the "distance to unit" condition with the "condition", so that after the units are together the timer starts and then somethings happens. i think that would be a far more elegant solution than to just to count every second. do you if i can do this, or if there is a solution to this kind of problem? WHen your distance condition is true fire event a second trigger that has the timer as the condition. Are there any triggers that can change the terrain of the whole map to one type? Hi. I'm new to this forum. I'm looking for a condition. description - combines the conditions "distance to unit" and "unit selected". I discover this forum tonight and I'm so happy! I really hope that you could help me. I put portrait, name of my hero (in yellow) but my dialog don't work, I have just a little part of my message and that all. I try a lot of different way to use this dialog but all failed.. They changed the way sounds are referenced in EE - remove the language folder part of your filename and it will work - it chooses the correct folder according to the language. Alternatively sound play paused will work as it uses the old sound finding system. The question thread is a better place for these questions. AreaAttack is a very rare definition in the proto/protox, and in the Modify Protounit trigger the option to modify it is not there. Can it somehow be added? Also what kind of other variables do we have access to for 'modify protounit' from the protox, besides the ones already there? Nottud made a trick for doing that, since there is no trigger that does exactly what you want. You make one trigger where you modify the pop count of catapult shots by some ridiculous, unreachable amount, say, 9999. Then, in the looping transform trigger, add a condition: Player Pop Count >= 9999. This will make the transform trigger only happen when that player fires catapult shots. When you do this for all players, it will simulate transform for different players. 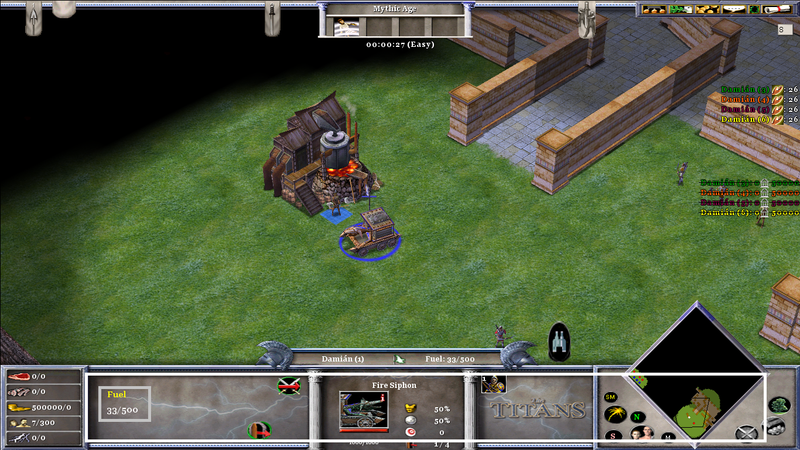 Of course, there's tiny edge cases where both players fire a catapult shot at the same time, but those are rather rare. It looks like Nick The Hun removed his download because his trigger didn't work. I also don't really like the idea of there being a possibility of another player's projectiles transforming. But thanks for linking me to the previous topic. I suspected that projectile transforms by player # was a topic that had come up in the past. Surely somebody knows what the fundamental difference between the "change" triggers and the "transform" triggers is that allows only the latter to work with projectiles. Is this simply something that is not going to work because it is hard coded somehow? I,ve heard a lot about triggers but I don't quite understand what they r. There is nothing in the description that really tells what they r.
REMEMBER I M NEW TO THE GAME!!! !